1. 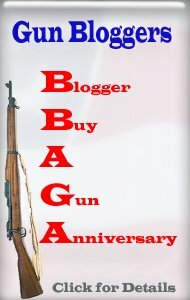 There WILL be a Gun Blogger Rendezvous in Reno this year at the Silver Legacy. 2. The dates have been moved up by a few weeks to August 20th through the 23rd. 3. The basic layout and activities will be similar to last year. At least, that's the plan so far. Some new things are being discussed. 4. Our corporate sponsor has been a sponsor of the GBR in previous years, and they have been there in person. Is it a sponsor that begins with an "R"? :-) Can we shoot steel with a .44-40 single-action or are the reloads too awfully slow? !